Another Scam – Saddam Hussein’s Fortune! It is my pleasure to write you through this medium, My name is Martin Robert Byrnes; I am an American, 50 years old and a retired Chief Warrant Officer Five (CW5) in U.S. Central Command’s Headquarter in Iraq. I was a Special Forces Warrant Officer (CMF 18 MOS) as an Intelligence Analyst under the led Joint Special Operations Command (JSOC) under the leadership of McChrystal from 2003 to 2008 in Iraq that captured Saddam Hussein in 2003. In 2006 I was part of the McChrystal’s Zarqawi unit (Task Force 6-26) that was responsible for the death of Abu Musab Al-Zarqawi leader of Al-Qaeda in Iraq. I gave a brief description of myself to you so that you know what I am about to discuss with you must be kept confidential. I want you to assist me in receiving funds which I got while serving as Financial Management Technician. I have these funds 19.430 million us dollars deposited with the United Nations somewhere in the Middle East (country name withheld) which I want you to receive on my behalf from the United Nations. I have not been able to claim it because I have be band for 10 year not to leave the shores of America. I am under parole so I am still being watched on everything I do. I am contacting you to assist me in receiving the funds and I am willing to offer you 25% of the total sum for your assistance while the balance will be transferred to my bank which I will give you the name. Instructions on how the funds can be transferred to my account will be made known to you by my bank. I will explain more to you on how we can achieve this once you indicate interest. Let me know if we can work together on this transaction. I await your swift reply. So, a good one. No longer do I need to worry about the widow of Prince UngleBungle having bazillions of dollars that she needs my help to get out of Nigeria or somewhere similar, now it is a Special Forces operative who was involved in the capture of Saddam Hussein and, in fact, managed to capture pretty much all of his money … or at least a good chunk of it. Even CW5 OD is correct – it is the term used by the US Armed Forces for their warrant officers who are appointed by either Congress or the President. So, must be genuine right? Well, apart from 10 minutes research to get the terms right, the English collapses well below the level expected from a Warrant Officer (remember these are the technical experts and really almost officers). Also, the United Nations does not have a bank. It works with the World Bank but the World Bank isn’t a normal bank. The only financial institution that is run by the UN is the United Nations Federal Credit Union (UNFCU). 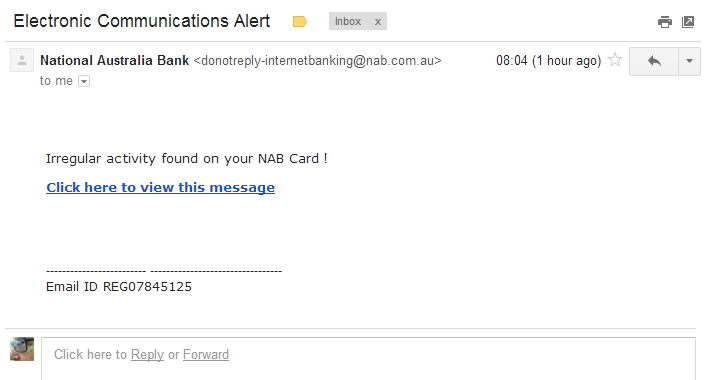 So, a nice variation on an old scam but a scam never-the-less. Delete the email if it turns up in your inbox. I use Akismet on the blog here to trap SPAM comments before they appear. For those who don’t know, that is where I post an article to Thomo’s Hole about, well, anything. Then a comment is posted to the Hole with text like “great article” and then a series of links . The links in the comment inevitably lead off to places that want to help me increase the size of certain parts of my anatomy; or keep that size for longer periods of time; or indeed, even route me to sites that are supposed to provide a non-chemical assistance to the aforementioned size issue. So, for example, in the Hole here I have made 437 posts. There are another 79 pages (which you should also be able to comment too). 331 Comments have been left in my comment queue of which 289 have been approved and 42 identified as SPAM that Akismet missed. Akismet has, however, picked up 48,648 SPAM comments over the period of these statistics. Yep, that statistic is correct. I’ve had over 200,000 page views in this time as well. OK, so Akismet is doing a great job picking up the SPAM. The way the SPAM works is that a little piece of software finds a post on the blog and constructs a comment complete with links to various other sites offering previously mentioned anatomical greatness, posts it to Thomo’s Hole and Akismet then grabs it and dumps it in the bin so you, gentle reader, are not exposed to the SPAM. All this I understand. Now, one doesn’t need to be an intellectual genius to work out that email address. Tracing the domain “usviagra” back to its source reveals a landing page in Russia (and in Russian). Of course, joining Thomo’s Hole has so many benefits that I can understand these potential spammers joining, however, I just can see how they can take advantage of the membership. Can anyone tell me how it works for the spammers? I get to see a lot of stupid chain letters (or rather chain emails) and I also get to see my far share of hoax letters. At least two of my friends now check with me before blindly sending on those warnings of dire things happening to your PC that Norton and Microsoft are powerless before. As a result of my nice healthy cynicism, I also get asked to check other things as well now. My good Chinese friend asked me to check this website, Say NO to United Nations’ abolishment of Traditional Chinese in 2008, to see if it was genuine or not as she particularly likes Traditional Chinese script and wanted to see her cultural heritage preserved. So I checked. It looked pretty legitimate and had lots of nice links to various websites pleading the same case. Then I went hunting and checked further – partly because there was a little bell ringing in my head that said Chinese is only used by the Chinese and that is the People’s Republic of China; the SARs Hong Kong and Macao; and Taiwan. Singapore uses English and that’s it. Now Hong Kong and Macao do not have membership to the UN, so that leaves it at the PRC and Taiwan. So I checked further – firstly with Wikipedia and then from there to sites such as the actual UN. Seems that the UN will NOT abolish Traditional Chinese in 2008 as the UN ceased printing reports and using Traditional Chinese in 1971 when the PRC took Taiwan’s seat in the UN, replacing it with Simplified Chinese. So, those 542108 folks who signed the petition are only about 37 years too late. The petition is just Nuisance Value!